Have you been running into any nagging issues with your sinks? Are they leaking? Not draining like they used to? Flowing less smoothly than normal? All Star Plumbing is your Columbia plumber for and lavatory and sink service in Mid-Missouri. We will inspect your issues in a timely fashion, give you a fair price, and execute the service at your convenience. All Star Plumbing is here to be the family’s plumber — the go-to whenever any plumbing service need arrives. At the core of every service we offer is saving our customers money. From our hassle-free inspection to our fair and affordable quotes, All Star Plumbing aligns its high-quality service with affordable rates. 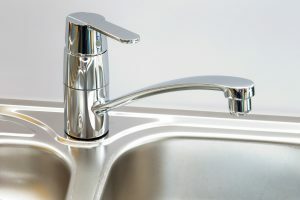 Not only will we fix any issues you are having with your lavatories and sinks, we will educate you through the process. Helping you to learn how to prevent future problems. What we mean when we say we will educate you is that we will diagnose whatever problem you are having and teach you about why the problem arose and how to best avoid it in the future. If we notice any glaring issues along the way, we will also let you know how to save money on your monthly bill by having more efficient parts or changing your usage or set up. We want to save you money, stress, and time with All Star Plumbing. Give us a call today at (573) 815-7273, or fill out a service inquiry, to tell us what your problem is, and how we can help!